If you haven’t heard, we’re celebrating our 15th anniversary this year, and it’s making us a bit sentimental. We thought it’d be fun to reminisce about our most successful marketing campaigns from the last 15 years. These are the ones that instill a great amount of pride in those of us who collaborated closely with our clients. In the first of our series, we take a look at some of our creative marketing campaigns for community organizations. In 2008, CESA 6 asked us to develop a marketing strategy that would help them grow and create raving fans. 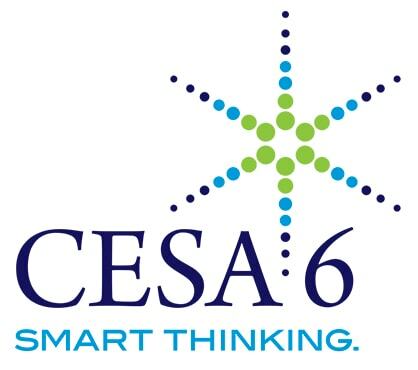 CESA 6 leaders wanted a redesigned logo, an internal communications and training plan for the new brand, and other marketing collateral. In addition, Blue Door Consulting worked with CESA 6 to incorporate the new brand through marketing pieces, including an e-newsletter, printed newsletter, redesigned website and other new products and services. Thanks to the new branding strategy, CESA 6’s Net Promoter Score rose to ‘Best in Class’ levels, e-newsletter open rates and website views increased, and the organization became better equipped to provide needed help and solutions to schools in their district. Learn more by reading our CESA 6 case study. 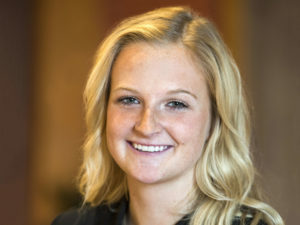 Armed with research, the Women’s Fund of the Oshkosh Area Community Foundation came to Blue Door Consulting with a plan to bring awareness of isolation to Winnebago County. The organization strived to empower community members to reach out to others who were isolated, and to reach out for help if they were feeling isolated. They just weren’t sure about the direct tactic to use to achieve these goals. This is where our team rose to the challenge. To bring awareness to the issue of isolation we crafted a transparent isolation booth. In the isolation booth, ‘actors’ (aka community members) demonstrated what it is like to feel isolated. This booth lived in multiple locations across the Winnebago County area. It not only yielded awareness but also understanding. To address the action piece, we started jamming. We held a Jam session, also known as a design thinking project that encouraged collaboration among thought leaders, including those in government and nonprofits, as well as those experiencing isolation. The Jam brought these people around a table to brainstorm solutions. The results of the Jam to end isolation were mutual: create social change and create an environment in which multiple agencies could collaborate to tackle this community-wide problem. The results of this campaign were rewarding. The Women’s Fund gained 1,682 hours of communication exposure from just the booth placements and the communication presentations alone. More than 680 individuals wrote pledges promising to reach out to those experiencing isolation. See how this bold initiative brought the problem of isolation to the forefront. The City of Oshkosh came to us with a goal of branding an initiative aimed at instilling pride in residents to improve city neighborhoods. The initiative’s ultimate objective was to increase property values and make Oshkosh a more attractive place to live. Our action plan was two-fold: assist the City in developing the strategy and measurable outcomes of the initiative while creating its brand. The initiative, named ONE Oshkosh-Oshkosh Neighborhoods Engage-drew support from stakeholders and city leaders. It became the umbrella for not only the City’s efforts but that of a private nonprofit, Greater Oshkosh Healthy Neighborhoods, Inc. (GO-HNI), which has been tasked with funding and leading neighborhood restoration projects, as well as establishing and supporting neighborhood associations. Since the start of the project in spring 2016, Blue Door Consulting developed the brand for ONE Oshkosh and GO-HNI. GO-HNI’s brand guidelines also provide neighborhood associations with direction for their individual brands. We created logos for the initiative and GO-HNI-which earned a 2017 Communicator Award-as well as logos for three new neighborhood associations. 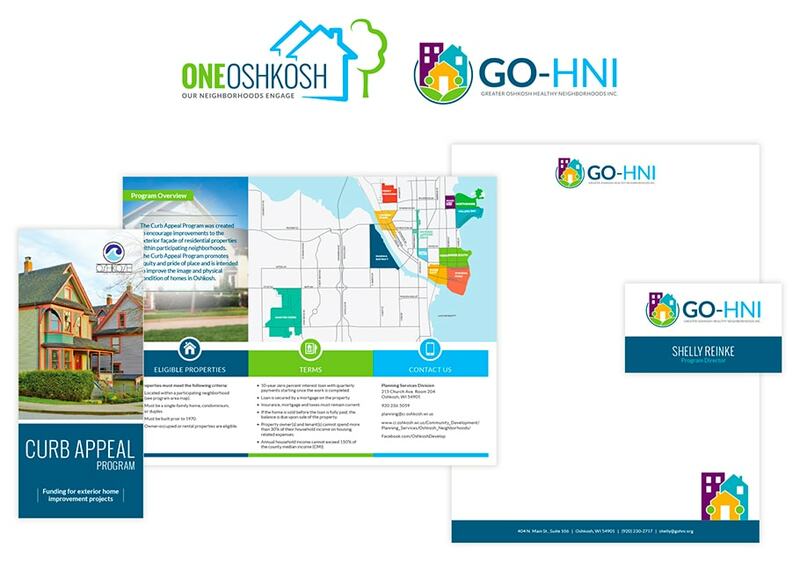 Learn more about ONE Oshkosh and its activities, as well as about GO-HNI’s efforts to revitalize Oshkosh neighborhoods. If you’d like to learn more about our marketing consulting process, we’d love to hear from you!